Have you always wanted to be a concert pianist or play in a rock band in front of thousands of people? Maybe you just want to play for enjoyment or for your love of music. I welcome piano students of all ages and levels. My method of teaching emphasizes a creative approach to both music and art. I take my students on a musical journey through expression, harmony, creativity and musicality. I provide one on one lessons giving each individual student my full undivided attention. This includes music technique, theory, ear training, rhythm, tempo, phrasing, dynamics, conducting, composition, improvisation and other important tools teaching them all of the basics to create a solid foundation in their playing. My child has taken music lessons with other teachers in the past and had lost interest in music because her teachers couldn't keep her motivated. David has completely turned her around and she looks forward to going to her piano lessons and now wants to go more than once a week. I always took lessons in other studios and it is nice to have a piano teacher come to my home. It really saves me a lot of time and is very convenient for me. My son has a natural musical ability and it was hard to find a teacher who could nurture that gift and develop his talent. I am so proud of what David has been able to do with my son and I would recommend him to anyone. Many younger students will start with a half-hour weekly. However, most students will take at least a 45-minute to 1 hour lesson weekly once they have developed some proficiency with their instrument. How old do you have to be to take lessons? I have students as young as four who have started on piano. How young do you have to be to take lessons? You don't have to be four years old to experience the joy of piano lessons. I have many adult students who are complete beginners. Always wanted to learn to play the piano. Do you teach all year long? Absolutely. The summer is a great time to study piano. We have all sorts of fun summer activities such as recitals, one on one time with the instructor and a summer gathering for all of my students to meet each other, enjoy snacks, games and play music. What is refer a friend? Simply refer a friend to sign up for piano lessons and receive a $20 gift card. What styles of piano do you teach? 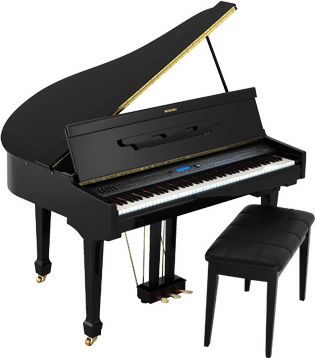 I teach all styles of piano including classical, pop and rock. I also teach the music theory behind these styles so you will not only be able to play these different styles but you will understand them and be able to compose your own songs.